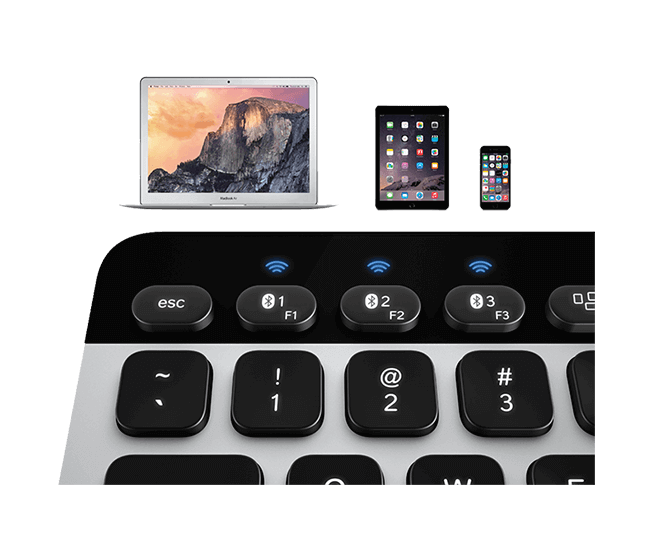 Quick transition from typing on a Mac® to your iPhone® and iPad® with the push of a single button helps you stay productive while multi-tasking. 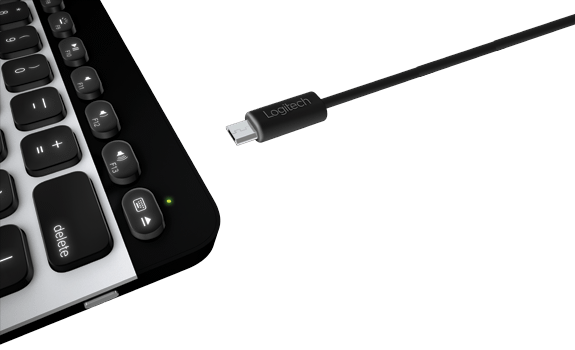 Designed with the layout and shortcut keys Apple users are already familiar with there’s no delay when switching between Mac®, iPhone® or iPad® devices. 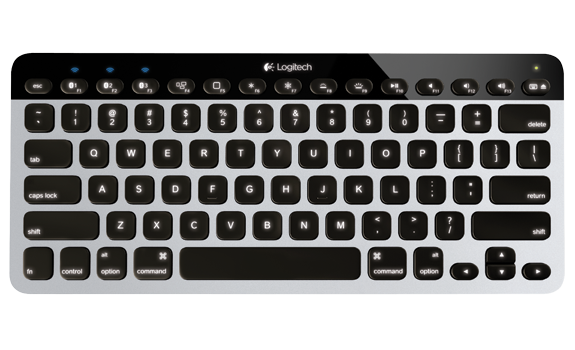 Backlit keys adjust their brightness automatically for efficient typing in any light. Need to speak with a sales consultant? Built-in sensors detect when hands approach, turning the keyboard on or off to save power. Thin, minimalist design with brushed-aluminum provides a stylish, space saving option for Apple users in small workspaces and cubicles. 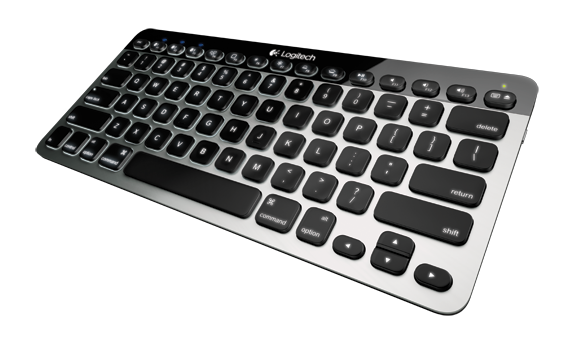 Enjoy comfort of a traditional keyboard paired with Logitech’s innovative concave key cap design for whisper-quiet typing. Actual battery life will vary with use, settings and environmental conditions. Allow 3 hours for a full charge. 10 days of power is based on 2 hours typing per day at maximum key brightness.